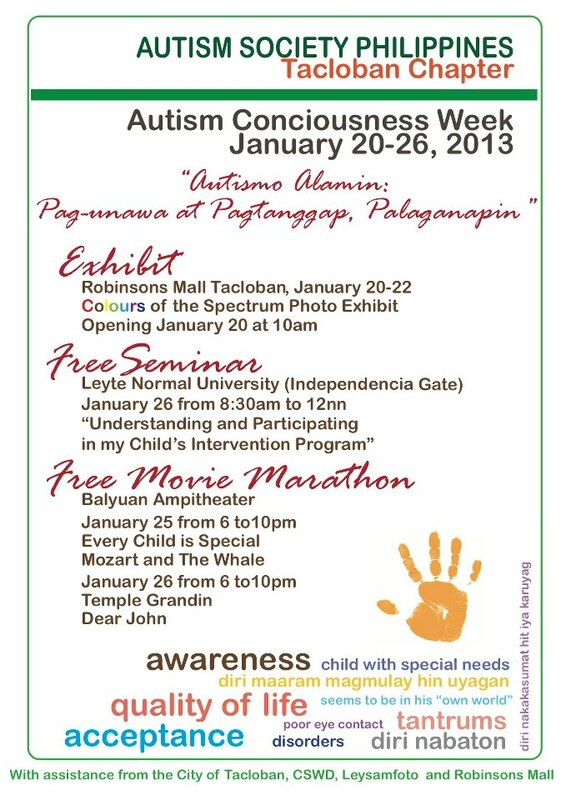 - Exhibit on January 20 - 22, 2013 at Robinsons Mall Tacloban. Colours of the Spectrum Photo Exhibit that will open on Jnauary 20 at 10am. - Free Seminar at Leyte Normal University (Independence Gate) on January 26 from 8:30am to 12:00nn with the title "Understanding and Participating in my Child's Intervention Program"
For more details, please contact chapter president Ms. Lee Marja R. Mercado at Mobile No. : (0917) 311 5438.